To carry out experiments at SACLA, project leaders/applicants and project team members need to have completed user registration to obtain a user card ID number in advance. 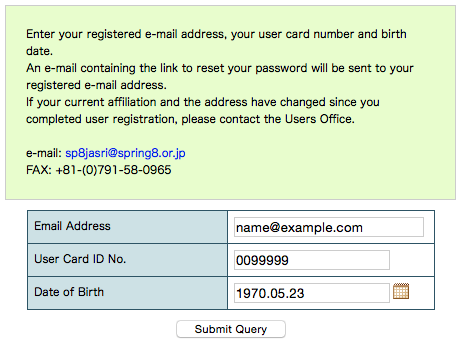 User registration is also required of users who already have an ID card for SPring-8 staff (staff of RIKEN and JASRI): if you have your SPring-8 Card, enter the ID number in the box provided for user card ID number to avoid multiple registrations. The Terms of Service include the “UNAUTHORIZED ACTIVITIES” and “DISCLAIMER OF WARRANTIES AND LIMITATION OF LIABILITY.” Please read carefully and click “I agree” to accept the Terms of Service. 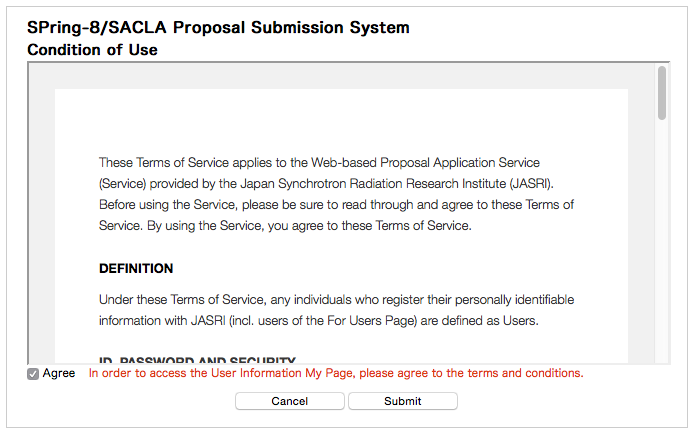 Otherwise, you cannot use the web-based proposal submission system. 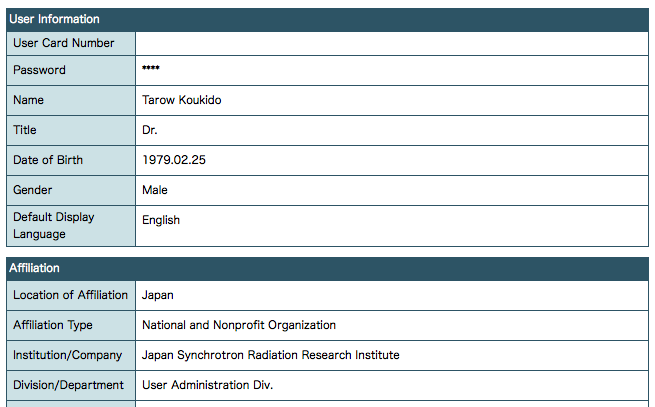 On the User Registration page, provide your name, password (for login authentication), date of birth, etc. 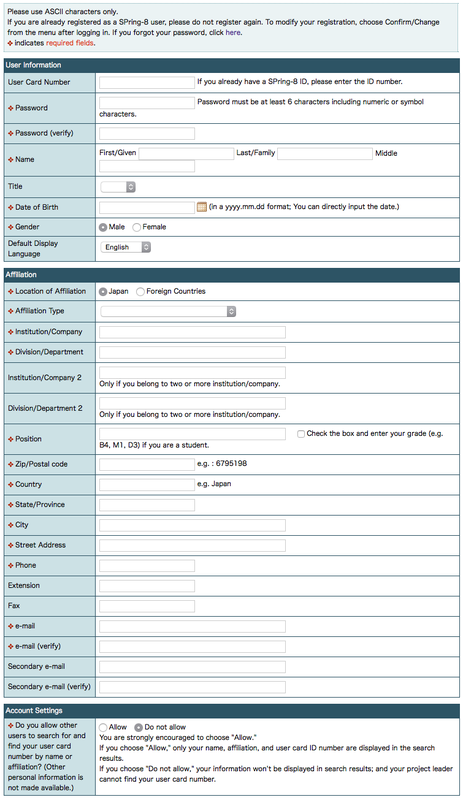 Since registration information may be used for verification purposes, make sure that all information is correct. Upon successful registration, you will receive an email confirmation containing your user card ID number authorized. To apply for beamtime, please log in to My Page with your user card ID number and password. If you do not receive the email within 3 business days, please contact the Users Office. If your registration details change, please login to My Page and update your registration information (“My Details” link in the top right hand corner of My Page). In the case of any changes in users’ information registered through the Service, users should update the information via the Service without delay. JASRI is not liable for any loss or damage resulting from the nondelivery of information or the unavailability of the Service that may be caused by neglecting to update information. JASRI possesses, for a limited period, users’ information registered through the Service. JASRI rejects any applications for the cancellation of registration from users, excluding duplicate registrations. In the case of duplicate registration or nonuse for a given period, JASRI may unregister the user at its own discretion. If you have already completed user registration and forgot your password, you can reset your password through the password reset function. 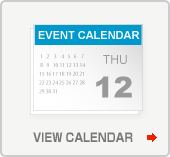 By clicking on the URL, you will be directed to a page where you are required to enter your date of birth and new password. Please fill in the boxes and click “Update.” Then your password will be updated. 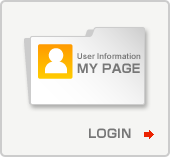 To apply for beamtime, please log in to My Page with your user card ID number and new password. If your email address/postal address has changed since you registered, this method will not work. If this is the case, please contact the Users Office.